Secondary sanctions questions may lead to more banks de-risking. 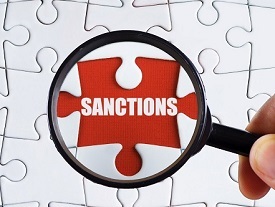 A lawsuit, presented by businessman Boris Rotenberg to a suite of banks is a perfect illustration of the complexity of secondary sanctions, says a leading sanctions lawyer. Rotenberg, who, with his brother, Arkady, and others, was designated by the US government ‘for acting for or on behalf of or materially assisting, sponsoring, or providing financial, material, or technological support for, or goods or services to or in support of, a senior official of the Government of the Russian Federation,’ holds a Finnish passport. He claims that Nordea, Danske Bank, Handelsbanken and OP Bank, by refusing to let him make payments from his accounts, are violating his right to equal treatment as an EU citizen, according to reporting by news agencies. He is asking that the court order Handelsbanken to accept money transfers for EURO 210,000 that he has made to his own account at the bank. Anna Bradshaw, a partner at London law firm Peters & Peters, said the case shows how circumstances in which secondary sanctions exposure may arise and the likelihood of measures being taken are difficult to predict, for both non-US financial institutions as well as for non-US persons, with only limited guidance to date on what transactions will be regarded as ‘significant’ and what may amount to ‘facilitation’. ‘The concepts will be interpreted broadly, and no bank wants to take the risk of being cut off from the US financial system,’ Bradshaw told WorldECR. ‘The potential breadth of the application of secondary sanctions coupled with the severity of their consequences leads to extreme risk aversion – with many banks exiting relationships and refusing to onboard new clients.